Qdoba is a chain of fast casual restaurants that serves Mexican-style cuisine founded in 1995. There are more than 620 locations across the United States and Canada. 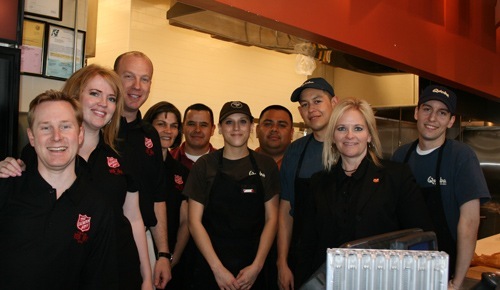 Qdoba offers part-time and full-time opportunities, with paid training. COOK - Qdoba cooks prepare foods using natural ingredients and standard commercial kitchen equipment, such as stovetops, ovens, grilled, hotplates, microwaves, and fryers. In addition to preparing menu items, cooks regularly take responsibility for overall restaurant cleanliness, including bathroom and dining area sanitation duties. MANAGER - In order to work as a Qdoba supervisor or manager, applicants must possess flexible availabilities, valid driving permits, and the ability to pass background checks. The North American fast food chain traditionally only considers candidates 18 and over for managerial roles. Some mild-to-moderate lifting and walking around on foot proves necessary to carry out daily responsibilities. Prospective managers must possess motivating, endearing, and thorough personalities. Previous experience in a similar restaurant or fast food setting often benefits potential managers. Key tasks center on driving sales, monitoring inventory, catering to customer needs, hiring personnel, setting schedules, and training new workers.